Hudson Square is a Manhattan commercial real estate submarket, sometimes referred to as West SoHo. 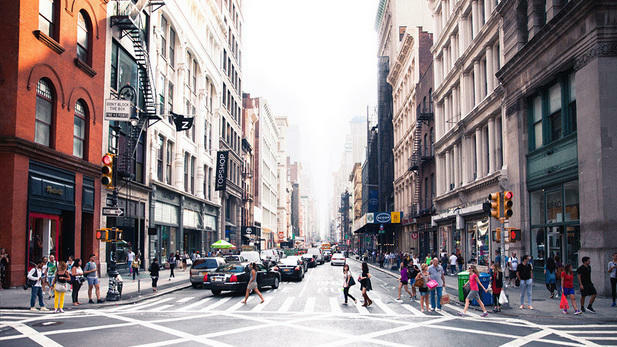 In the midst of a transformation led by the Hudson Square Connection Business Improvement District, the neighborhood is becoming an increasingly attractive community in addition to a thriving business district. Office space in Hudson Square offers the elegance of Tribeca and the creativity of SoHo, and its convenient location have all contributed to its growth into a hub for advertising, media, and tech. The predominantly commercial neighborhood was once considered one of the NYC office market’s best-kept secrets, but now is home to some of the biggest names in the city. 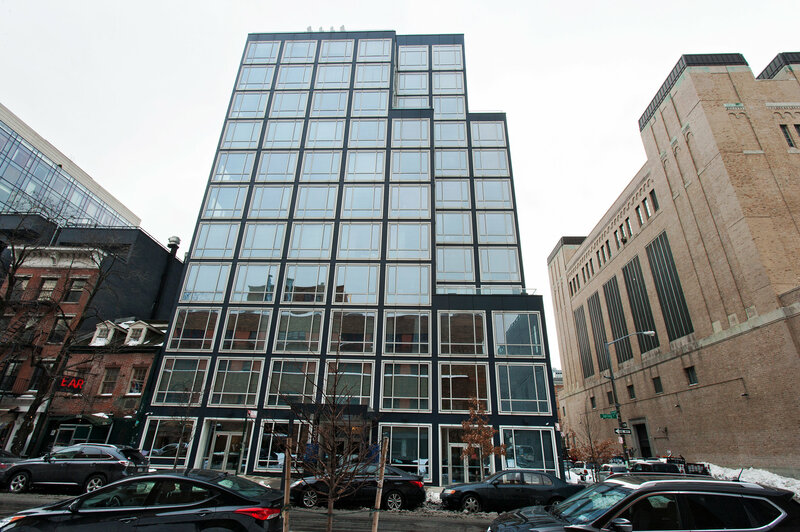 Tenants considering office space in Hudson Square will find themselves neighbors with Weiden + Kennedy, TripAdvisor, DigitalOcean, Havas Media, Two Sigma Investments, and Warby Parker, among others. Office space for lease in Hudson Square can be found at an average of $78 per square foot, slightly above the average Midtown South office space lease price of $72 per square foot. This is due to the prime location and high density of Class A buildings (70% of inventory is Class A space). Average asking rents for Class A office space in Hudson Square are around $90 per square foot, while the limited Class B inventory goes for closer to $60 per square foot. 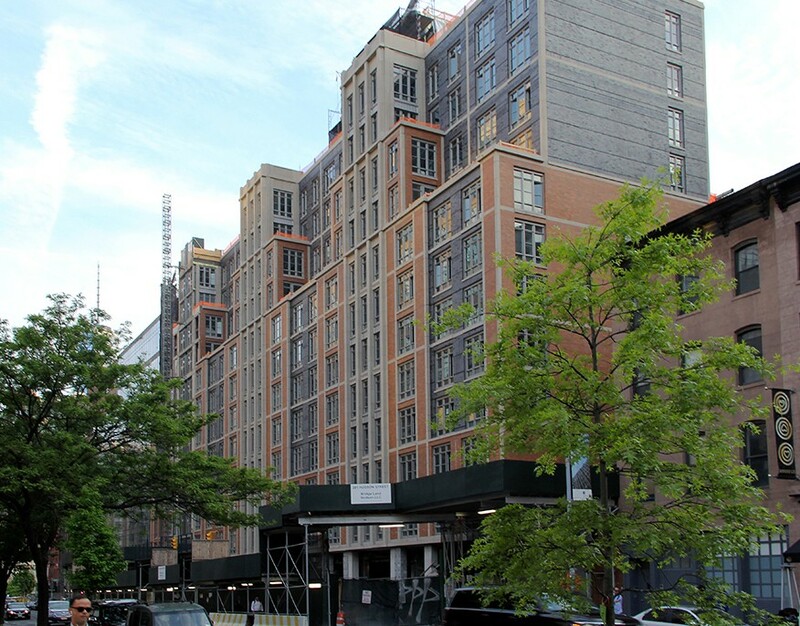 The 2013 rezoning of Hudson Square opened up the neighborhood to development of 165,000 square feet of new office space, most of which is still under construction. Trinity Real Estate, the real estate branch of Trinity Church, and Norges Bank Investment Management own a majority of commercial real estate available in Hudson Square. In October 2017, Trinity Church paid $580 million to buy the former Saatchi & Saatchi building, with 1.1 million square feet of office space. In a 2017 report by the Hudson Square Connection, 60% of local businesses operate in creative industries, employing around 40,000 people. Of that 60%, media/communications and technology represent a combined 39%. Hudson Square has a daytime population composed of 67% office workers, compared to 5% residents. Commercial tenants looking to employ young, creative talent will have their pick of energetic and dedicated individuals working in a variety of industries. Hudson Square’s surface area of a mere 18 blocks guarantees a wide variety of exciting neighbors. Rent the Runway is across the street from Cadillac House, a popular spot for coffee and WiFi. The Greene Space, New York Public Radio’s headquarters, is a block away from Harbor Picture Company. The same building houses Getty Images, New York Magazine, Adelphi University, and mail-order razor company Harry’s Shave. Hudson Square is accessible via the 1, A, C, and E trains as well as the M5, M20, and M21 buses. Most commuters use the Canal, Spring, and Houston Street subway stations. Drivers have easy access to the Holland Tunnel. These is also easy access via the PATH trains. Crossing Hudson Square by foot is easy (the district covers less than a tenth of a square mile), and many like to take a walk along the riverfront during lunch. The Hudson River Greenway has a bicycle and jogging paths for safe travel. 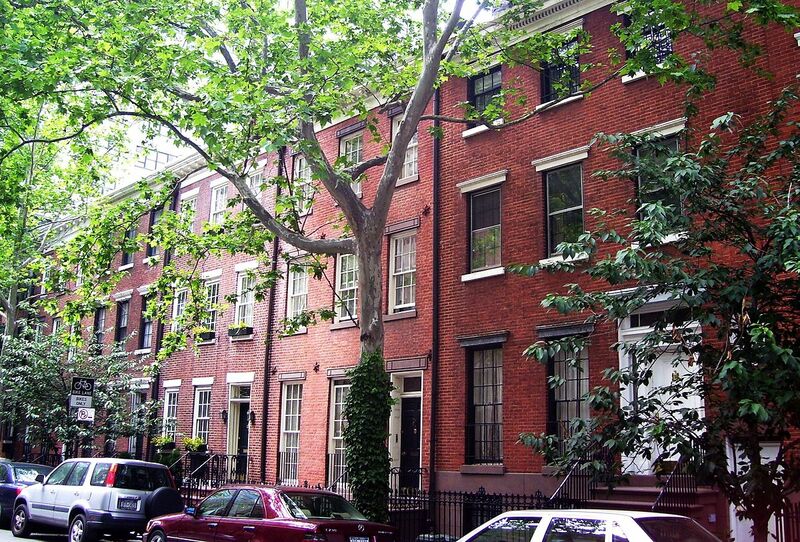 Nearby neighborhoods include: Greenwich Village, City Hall, Chinatown, Little Italy, TriBeCa, and SoHo. Hudson Square was long known as the Printing District but lost the name as the printing industry started to decline. Trinity Church began marketing the empty buildings to media companies in the late 1980s, and reportedly found the name “Hudson Square” in old city planning documents. The transition from print to digital media helped Hudson Square retain its defining identity. Hudson Square Connection has dedicated $27 million to improving another factor of the neighborhood’s identity: greener streets. The BID’s “Hudson Square Is Now” plan promotes pedestrian traffic over cars, has planted over 250 trees in the neighborhood, and is overseeing the anticipated completion of Spring Street Park in the summer of 2018. The BID pays close attention to its community, even discovering a statistic that 90% of office workers prefer grab-and-go lunches. Hudson Square’s options continue to expand, with Dig In offering cafeteria-style farm-to-table-eats, marketplaces like Dean & Deluca, Gourmet Garage, and François Payard Bakery providing an array of quick lunches, and a Trader Joe’s set to open on Spring Street in 2018.